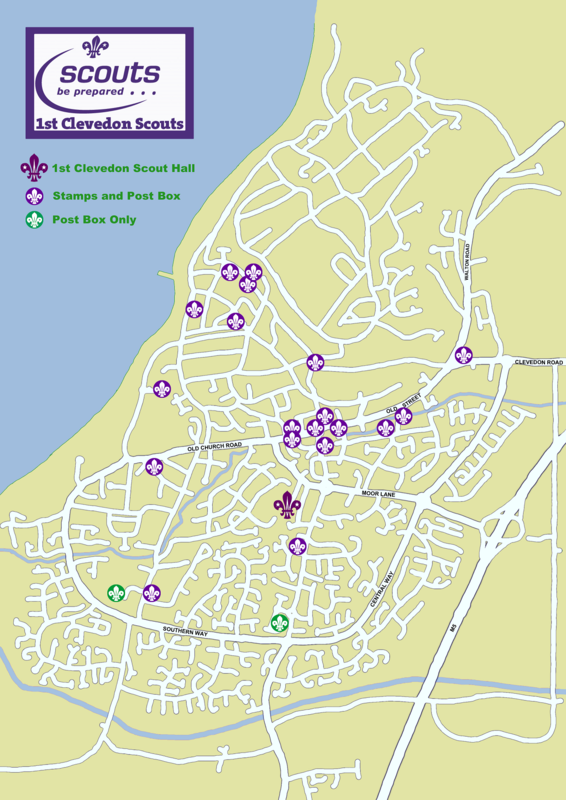 1st Clevedon Scout Group runs a local Christmas Card postal service for Clevedon residents each Christmas to raise invaluable funds for the group. Various businesses in Clevedon support us each year by selling our Scout Stamps at 25p and having one of our Scout Post Boxes. 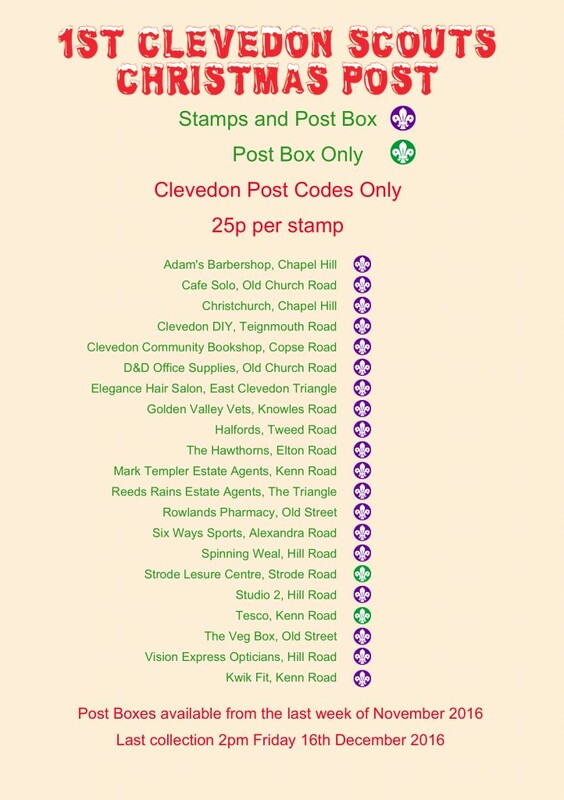 Stamps will be on sale from 28th November. Our service will be promoted in the local press so watch out for details. The Scout Hut upstairs meeting room is transformed into our “Sorting Office”. Here the collected Christmas Cards need to be franked and sorted into the delivery rounds by our wonderful volunteers. Please note that Friday the 16th of December will be last collection day from outlets selling stamps.